The Amish Trail (which runs through Cattaraugus and Chautauqua Counties) is adding another dimension to its growing popularity. This summer, Barn Quilts are being added to the trail as well as the surrounding communities. 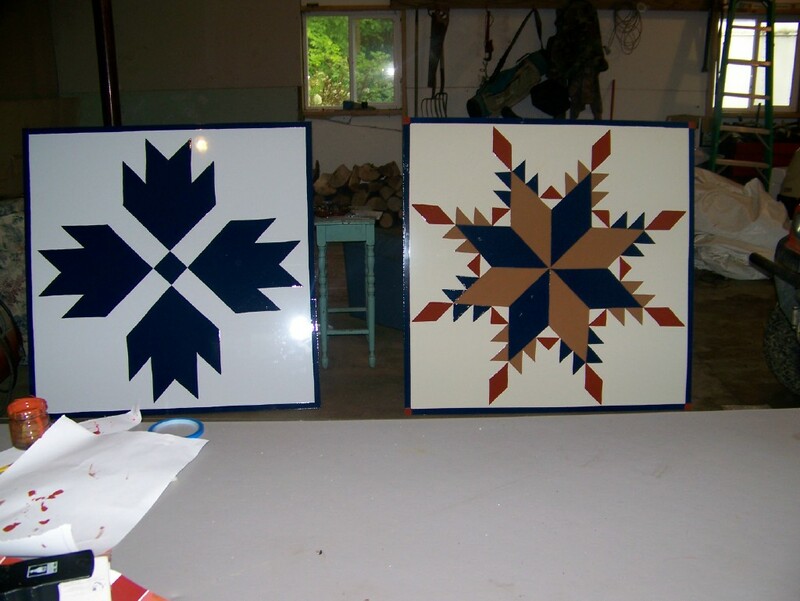 These “Quilts” are actually single block patterns that are enlarged and painted on board that can easily be mounted to any structure, barns, and buildings or in yards. They range in size from 8’x8’ to smaller 3’x3’ yard quilts. These giant colorful quilt blocks have been very popular in different parts of the country, particularly the Midwest. They will be an attractive addition to the Amish Trail. So along with the map that shows the English and Amish Businesses along the Trail, there will also be Barn Quilts noted with a brief history of each barn and quilt pattern the participating family has chosen for their barn or yard. Production of these beautiful patterns is now in full swing. Very soon the Amish Trail will become an even more interesting place to visit for any afternoon drive or a weekend get-away. We invite you to enjoy this unique experience and step back in time for a look at a simpler way of life. If anyone is interested in being a part of this project, please go to our website at NYAmishTrail.com or call 716-358-9701 x208 for more information.